Sport Court Carolina provides fitness room flooring, weight room flooring and locker room flooring for your home or facility in North & South Carolina. We offer a variety of fitness flooring options to best fit your home or facility. 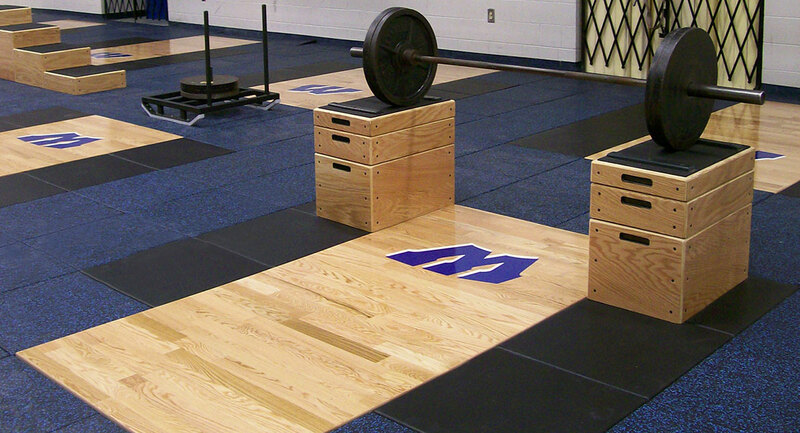 Weight room floors come in various configurations; rolled rubber systems that are normally adhered to the concrete; interlocking rubber tiles that do not require glue; and rubber tile systems that can be loose laid or glued in place. You can personalize your flooring with different degrees of thickness and color options and dimensions. From residential home gyms to professional facilities, we have the right athletic floor to fit your budget and needs. Is this what you have been searching for? Contact us as soon as possible for making your indoor court! !